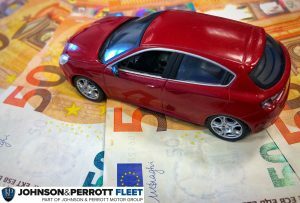 In brief – from Sept 1st 2018 a new system to measure vehicle Co2 emissions & statistics will be in place and the price of vehicles will change according to the results of these new tests. The current testing system has been in place since the early 80s (NEDC) and the results of these tests gave us our Co2 readings. The vehicle registration tax (VRT) of a car is based on this Co2 result. The new system (Worldwide Harmonised Light Vehicle Test Procedure WLTP) from September 1st onwards will give us a new set of results based on a more ‘real world‘ testing scenario so the prices of vehicles will change according to their new Co2 readings. The higher the reading the higher the VRT. The likelihood is that under the new testing regime Co2 readings will be higher across the board and therefore the price of a car will be higher. The recommended retail price (RRP) from the manufacturers will now incorporate a higher VRT amount so the cost of cars will rise.